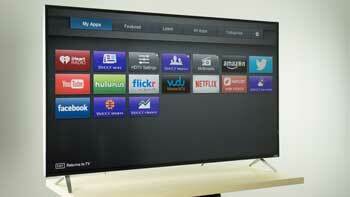 Home » Vizio TV » Does Vizio Smart TV Have the Internet Browser? Many users often ask about Vizio smart TV internet browser. According to Vizio support, there is no full web browser – meaning you have no possibility to surf on Internet. This HDTV is based on a platform utilizing Internet applications, such as Youtube, Netflix, Hulu, or Pandora. Check out the truth why Vizio smart TV won’t connect to Internet! However, as I have seen this experiment in several households, I think you still can put the web browser on this smart TV by connecting the browser device to the cat5 port or the PC cable input. For all Vizio smart TV users, you do need the Internet connection to use the built-in apps; nonetheless, what if your device encounters any network problem? In fact, fixing Internet connection issues of a Vizio TV is simpler than you thought. In this section I’m going to show you effective ways to handle all problems happening to the Internet connection. Enter the password for your In-home WiFi. How to locate your WiFi password? Learn here! Keep in mind that your TV is supposed to be connected to your In-home WiFi after you finished the instruction above. How to connect your Vizio smart HDTV to the Internet using Ethernet cable? Connect the first connector of Ethernet cable to the TV’s LAN port and the second one to the In-home WiFi gateway’s open LAN port. Press Menu button on the Vizio remote. Choose the Network option and press OK.
Now you can use the Vizio connected to your In-home WiFi. Overall, the only minus point of this smart HDTV is – you are unable to access Vizio smartcast web browser. Yet, thanks to the built-in apps, it’s still a pleasant to discover the unlimited media content on the Vizio smart TV operating system. For any question about Vizio TV, visit baladnaonline.com for your answer.